It is rare for a week to go by without the gaming industry making the UK press for all the wrong reasons, so it seems a good time to examine how the US will adapt to legal real-money gambling seeping its way into the mainstream. Sure, there is a betting shop (or three) on most high streets in the UK and nine of the 20 Premier League shirt sponsors are betting brands (a staggering 17 of the 24 teams in the Championship!) but the general feeling towards gambling as a past-time and as an industry is disdain. I’ve been in the industry since I was 17 – I can normally predict what the response to my job-reveal will be when asked; it’s either “oh that’s mysterious”, or “goodbye”, which I understand, because we have as a nation been programmed to see our industry as a vice, so it must be bad. The reality is that it is a form of entertainment that the overwhelming majority of people can control and keep as entertainment, with a minority being unable to. As a betting start-up founder, part of the battle when going to investment pitches is already lost; I have talked about why before, but what interests me most about the regulation of sports betting we are seeing in the US is the way in which it is being lapped up by the media in a way that feels very different to how it is in the UK. Within days of PASPA being repealed, ESPN launched I’ll Take That Bet, in conjunction with the Action Network. CBS followed suit months later with SportsLine Edge and NBC seem to be taking it one step further by potentially launching their own sportsbook, after it was revealed that they had registered a number of domains, including the snappy NBCSportsSportsbook.com. Add Fox’s Lock It In into the mix and you have a pool of content created by the mainstream media that is encouraging the nation’s new favorite (legal) pastime, betting on sports. Compare this to the UK, where betting has been legal since the dawn of time, and you’ll be hard pressed to find anything more than a bookie spokesman with the odds on the radio. There are of course an inordinate amount of betting adverts and sponsored pieces of content, some of which are integrated into the media better than others, but all of which are under threat from increasing public scrutiny. November of last year also saw what was to my mind the first sporting event dedicated to the education of sports betting. Tiger Woods and Phil Mickelson faced off in The Match, in what was ostensibly a ‘Battle of the Titans,’ the world’s two richest golfers playing for a $9m purse to see who could become richer. In reality, it was a lesson in how to bet on golf. The odds for every action were displayed on screen, accompanied by explanations from the commentators, who were openly encouraging side bets between the golfers, all of which could be heard on on-course microphones. It is fairly hard to even imagine this ever happening in the UK, and impossible in today’s climate. All of the major sporting bodies have struck deals with betting companies and the media tycoons all seem to be weighing up their options, all no doubt with a view to becoming the next Sky Bet. Perhaps it is too early to tell, too early to see if the warning signs from the UK have been heeded, but by all accounts it seems that the US is opening its arms and embracing sports betting with hugs, kisses and blank cheques. 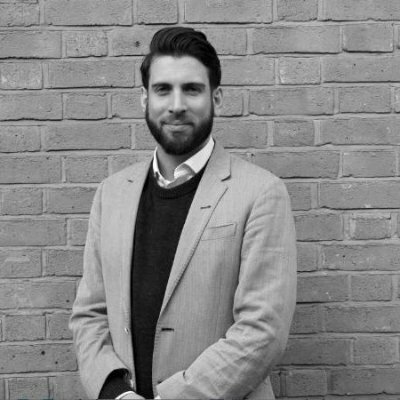 Adam Wilson is co-founder and head of product & B2B at Bookee. He started as a 17-year-old intern at partypoker and after graduating worked for 888 in Israel, working on their Poker 6 product and later as a VIP affiliate manager. Wilson then went on to spend five years as sales director of loyalty provider Initial Rewards.